Just 27 miles from Waikiki you can transport yourself back to a time long passed. Since 1976, on the shores of West Oahu, Germaine’s Luau has been treating guests to one of the top dining experiences in Hawaii. Prepare yourself for an evening of fun, food, and beauty. Upon arrival you are greeted by your hosts, bearing a traditional Shell Lei. The conch shell sounds, inviting one and all to the feast. The Royal Court enters, stopping for photos, and the celebration begins. The luau is technically the top of young taro plants prepared with coconut cream, chicken, or octopus. Served at celebrations in Hawaii since the 1800s, this dish came to symbolize all Hawaiian festivities, once called ‘ahaainas’ meaning feasting. The celebrations had community binding implications, and they were meant to honor the gods. Eventually, the religious intents fell away, and almost all such festivities came to be known as luaus. Dinner features a combination of Hawaiian and American foods. 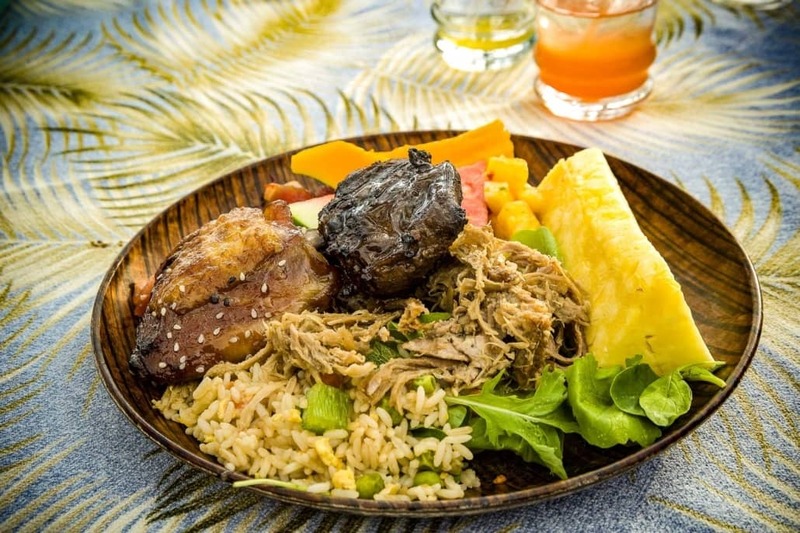 Taste traditional fare such as poi, Kalua pig, and Lomilomi salmon, or relax and stick to food you know, like fried chicken and chocolate cake. You won’t go away hungry. 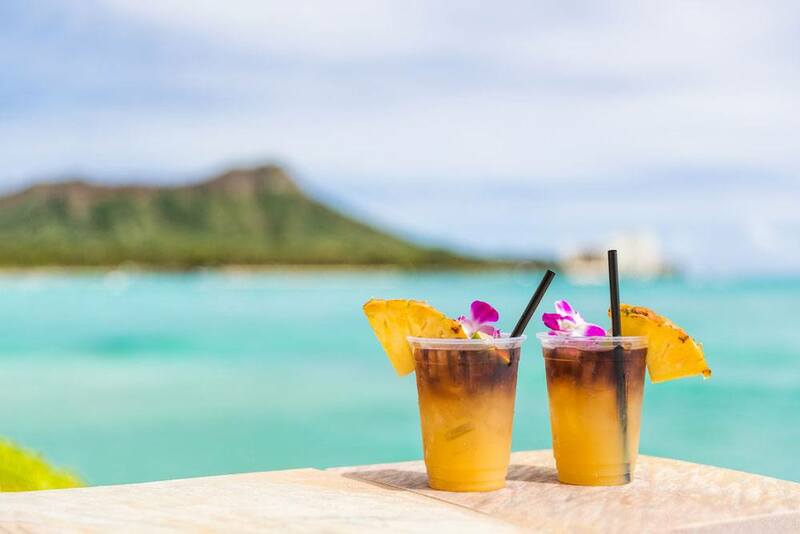 Both alcoholic and non-alcoholic beverages, and of course Kona coffee are included. Reservations are strongly suggested and can be made by phone or online. Transportation arrangements are available upon request. Special events can be planned with advance notice. Coordinators can help you plan a party, a proposal or even some business convention entertainment. If you choose not to drive, option for pick up and return to Waikiki available at $20.00. Children under the age of 6 years are permitted free. Please bring a valid ID. No ID, no alcohol – Hawaii State Law. The imu, an underground cooking pit, is opened releasing the incredible smell of roast pork, the main attraction at the all-you-can-eat dinner. 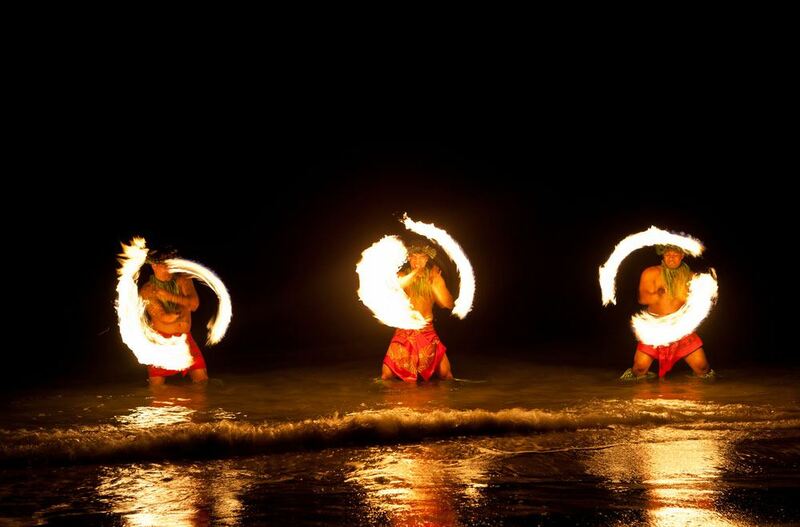 Before the meal begins, dancers from Tahiti, Samoa, New Zealand, and Hawaii provide entertainment. Colorful and graceful Tahitian dancers perform an energetic dance wearing astonishing head dresses. Samoan Fire-Knife dancers follow, and then the Slap Dance performed by Samoan men. Of course, no luau would be complete without the hula. 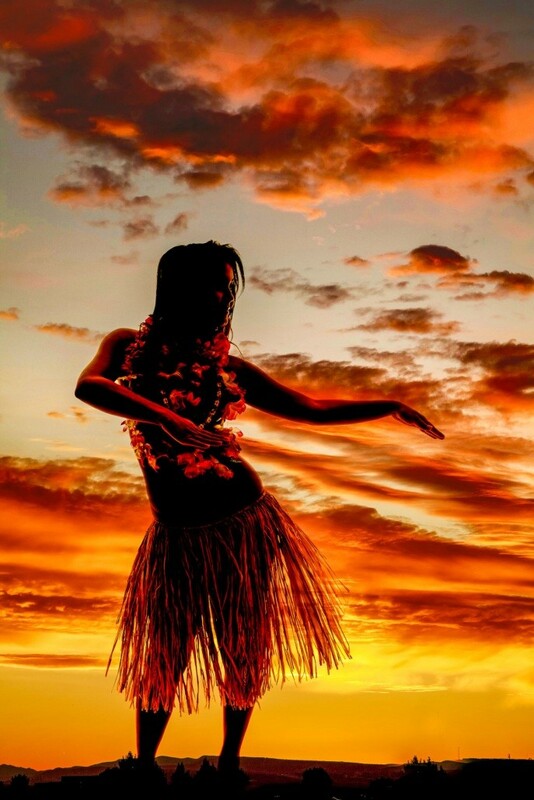 The hula has been used in Hawaii to tell stories of love, life, and harmony for generations. The show continues through dinner, so sit back and enjoy the magic. Upon arrival, all of our guests are traditionally welcomed with a Hawaiian Shell Lei. The sounding of the conch shell announces the beginning of the evening’s festivities! Picture taking opportunities await as the Royal Court of Polynesia makes its entrance. 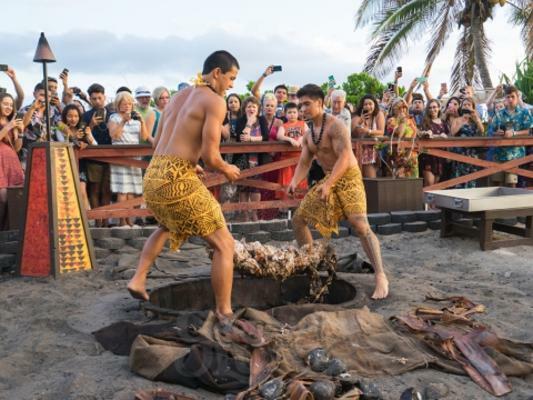 As the imu (underground oven) is uncovered, the savory aroma of the Kalua Pua’a (roasted pig) – your main course of the evening – reminds us that dinner is soon to be served. Our all-you-can-eat buffet features an array of tasty Hawaiian – American selections, which include traditional Island favorites sure to please even the less adventurous. 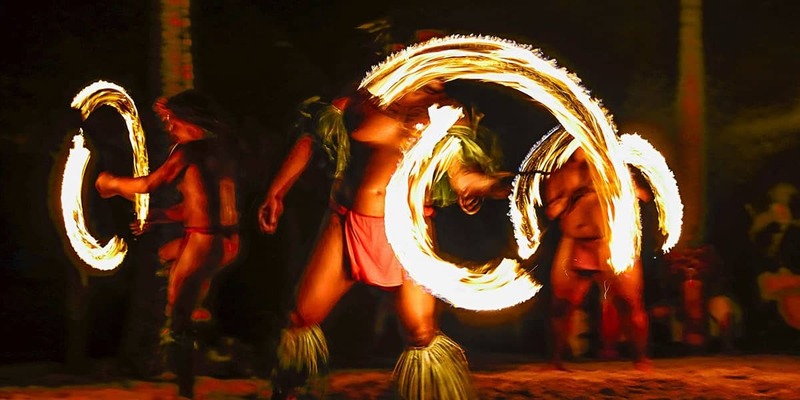 The night is filled with beauty, color, and excitement as our multi-talented kane (men) and wahine (women) take you through a non-stop, action-packed journey throughout the Islands of Tahiti, Samoa, Fiji, New Zealand as well as the romantic hula of Hawaii. 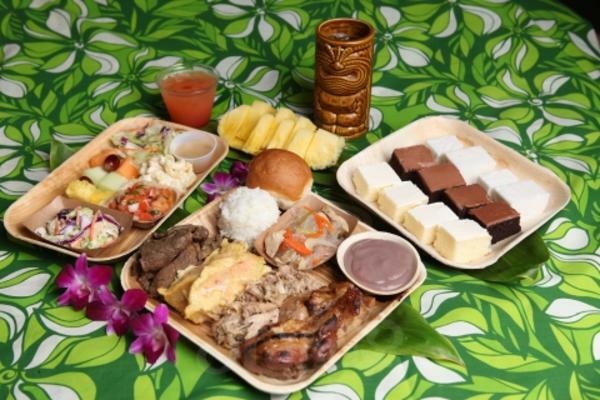 What are the differences between the luau options? 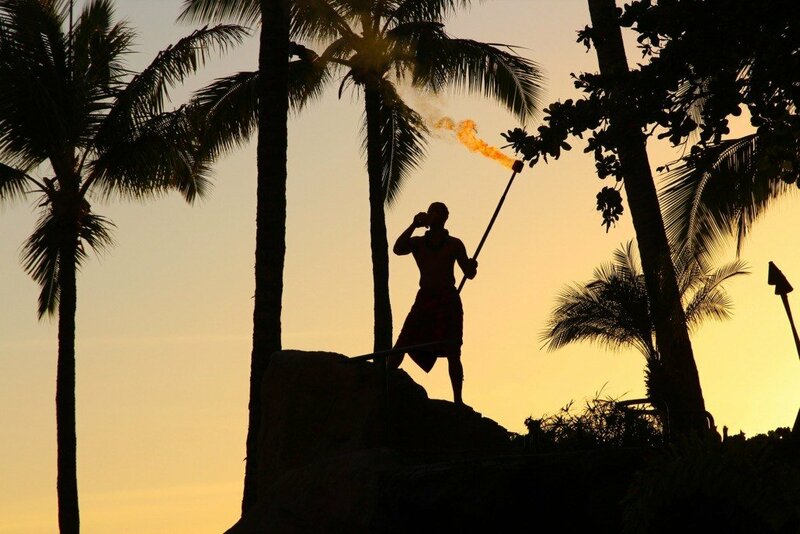 Purchasing a higher priced package means you receive more services, drinks or better seating during the luau. 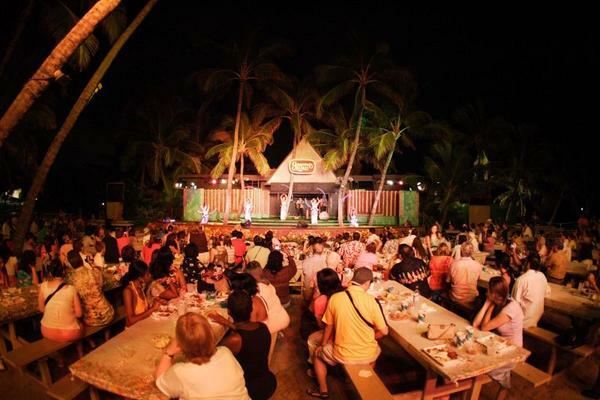 The Plumeria Luau option provides a Kukui lei, table service, premium drinks, and the best seating to enjoy the show. Germaine’s Luau is located about 27 miles west of Waikiki near the Barber’s Point Lighthouse in Kapolei on Oahu’s southwestern shore.